When the cat's Away, the ChuChus' will Play! 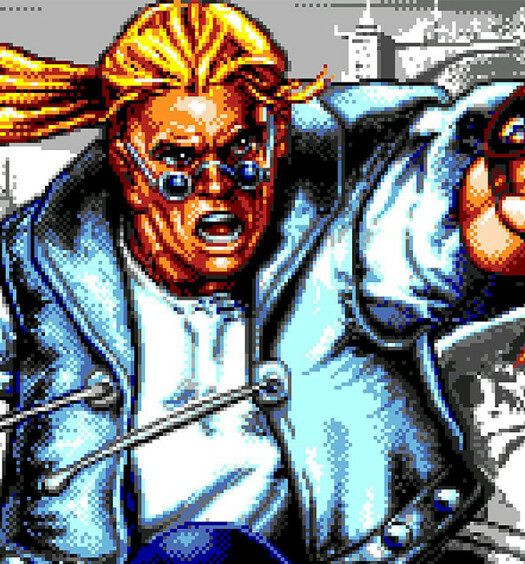 There’s a scarce selection of video games which have managed to obtain the illustrious title of one that can ‘bring me to tears’. Not tears of sadness, mind you (that’s a feat only achieved by Klonoa: Door to Phantomile *sniff*), but as of a result of bursting into a fit of absolute, uncontrollable laughter. ChuChu Rocket is one of those rare games. Why? It’s probably got something to do with the fact it’s just totally and utterly insane. Even as I reminisce, I’m stifling a giggle which arises every time I repeat the words, ‘Mouse Mania!’ followed shortly by, ‘Cat Mania!’ If you’ve had the opportunity to play this game with a group of friends, then you’ll know what I mean. There’s no mania quite like Mouse Mania! So what the hell’s so great about this wacky Japanese, puzzle party riot? Well first of all, it was the first popular console game to provide online capabilities for any major console. Quite the achievement I’m sure you’ll agree. 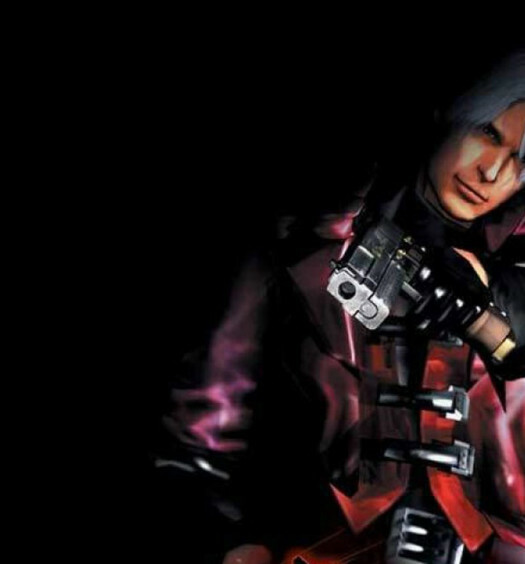 Players were able to craft their own stages and share them online, as well as competing head-to-head with other gamers around the globe; a remarkable accomplishment back in 2000, even if the crippling lag and fairly poor interface hampered proceedings. 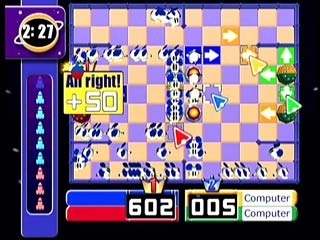 SEGA later decided to bundle ChuChu Rocket with the Dreamcast as a free title to promote its online capabilities. Cats and mice on a 56K modem. Shoo! Shoo! You Evil Cat! ChuChu Rocket’s gameplay is wonderfully simplistic yet one which has never been replicated. 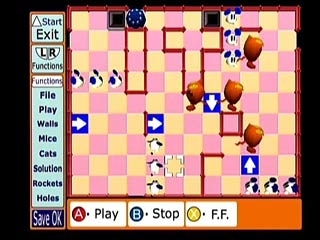 The game involves guiding one, to well over a hundred mice (the ChuChus) around a board, whilst navigating them away from black holes, obstacles, the evil roaming cats (KapuKapus) and into one or more of the awaiting rockets. This is performed by placing directional arrows on the board. When the mice and cats come into contact with a directional arrow, their path will change. Similar to Derek Zoolander, the mice and cats are unable able to turn left, strictly turning right when colliding with walls, obstacles or hitting a dead end. Similar to Derek Zoolander, the mice and cats are unable able to turn left, strictly turning right when colliding with walls, obstacles or hitting a dead end. This provided a much needed predictable outcome, because quite frankly, the game would be near impossible to manage if you were unsure of which way the mice would turn. The goal of each level involved filling each rocket with a set number of mice before the timer runs out. Once the player had stuffed the rocket full of mice the rocket lifts off, escorting the adorable ChuChus to safety. However, the player must ensure that no cats enter the rocket as this resulted in a loss of mice, thus effecting the overall total. ChuChu Rocket explodes to life when played with friends. It’s still one of the most delightfully manic experiences around, thanks to the ever changing gameplay dynamics. Supporting up to 4-players, the objective remains the same. Guide a set number of mice into your rocket to win the game. The difference now is that there’s other competing mice shepherds, with their own rockets to fill and quotas to meet. 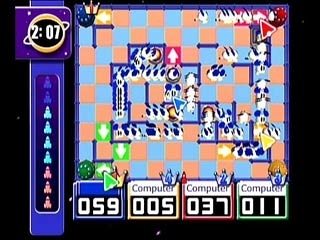 The result is a battle of wits, reflexes and a keen sense of direction as each player attempts to successfully use their opponents’ directions, obstacles as well as their own markers to their advantage. Of course, cats can also be directed towards an opposing players’ rocket; requiring an unexpected balance between defence (redirecting the incoming cats) and attack (guiding the mice to safety). But that’s not all. During the match special mice will appear. A gold mouse will add 50 mice to your rocket, whilst a pink mouse will trigger a random event. It’s these random events which turn the dynamic of the game completely on its head. Random events include ‘Mouse Mania’, where suddenly the board is flooded with mice, spurring a mad dash to obtain as many precious mice as possible. The flip side of ‘Mouse Mania’ is the dreaded ‘Cat Mania’. Gone are the valuable waves of mice, who make way to a sea of evil, lumbering cats. Another variable included everyone’s rockets being switched around. Watching helplessly as your queue of mice are thwarted at the last second, only to be diverted into your opponents rocket is as excruciating as it is hilarious; especially if those mice are then replaced by cats; followed by despair if your rocket is then switched for theirs. Accompanying the on-screen chaos was an equally bonkers soundtrack, with a light hearted, random assortment of electronic beats. The soundtrack was as catchy as it was loopy, with individual tracks assigned to a random event. The most memorable of the two are naturally, ‘Mouse Mania’ and ‘Cat Mania’. Please enjoy a sampling of the madness that is ChuChu Rocket below, one of the finest Japanese imports to have ever graced European soil. P.S. ChuChu Rocket is now available to download for iOS devices and supports up to 4-players via bluetooth or WiFi!